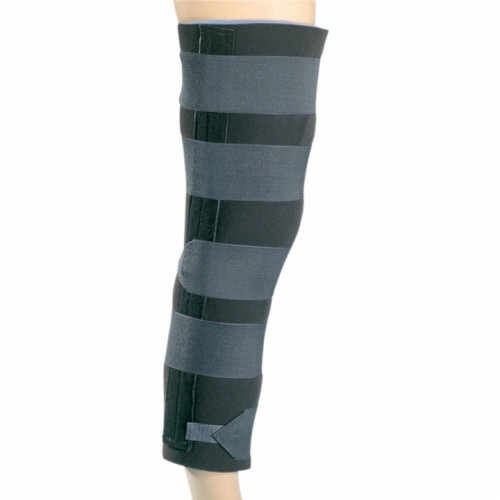 Foam laminate construction with 3" elastic contact closure straps provides compressive support and immobilization. Dual contoured, I-beam posterior stays and moveable medial/lateral double stay casings for correct fit. Ideal for immobilization of the knee joint.